Marina leading her band at a performance at the Conor Byrne. Making a video with Marina and the Dreamboats! Marina and her trio perform every 2nd Saturday at the Paragon. Marina had a residency at the Paragon. She plays every 2nd Saturday. Marina Christopher Trio at a corporate holiday event. 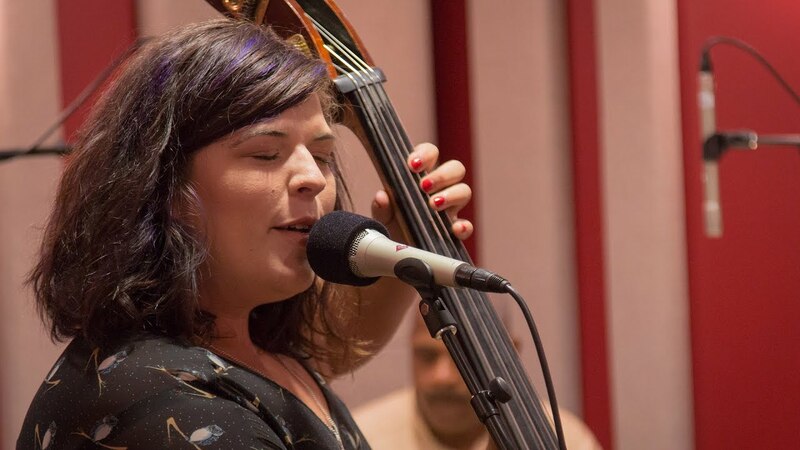 Jazz duos, trios, and quartets with led by an award-winning bassist and vocalist, who also happens to be female. 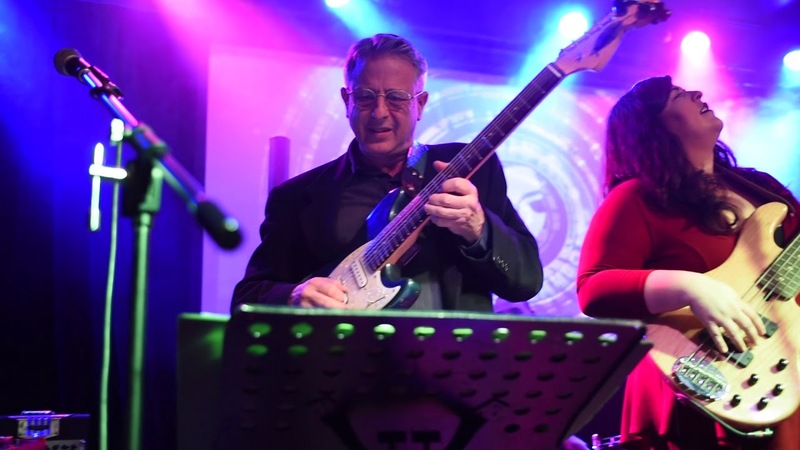 Make a splash at your next event with fun takes on the Top 40s from every era, as well as any jazz standard you can think of. Marina won the Golden Ear Award for Emerging Artist of the Year from Earshot Jazz Magazine in 2017. Marina Christopher did a wonderful job playing for us at our holiday events. Her instrumentals, her vocals, and her ability to keep all of our employees listening and engaged was fantastic. They really enjoyed her different styles of music and her fun variety of songs throughout the party, she added something special to the day! Marina was very accommodating; she traveled to both of our campus locations and performed twice for us,and she was very easy to work with, and did a great job communicating with me throughout the planning and booking process. Marina has incredible talent and was beautiful to listen to. A huge thank you to her, as we would love to book her again in the future! We usually arrive about 1 hour before performance time, unless discussed otherwise. We will require a load-in area if we need to park a ways from the event. We are happy to dress up or down, but we may load in and set up in casual clothes before changing to more formal clothes. We have a sound system and a guitar amp, plus microphones and our instruments. Rarely do we need any other equipment to be the appropriate volume for most events. We usually play 50 minutes to an hour and then take a 5 to 10 minute break. We can play recorded music through our sound system. If you need to use our system for any announcements, we charge an extra $25. If you ever need to speak to us while we are playing, we can play and talk to make sure your event goes smoothly. We can tear down quickly and quietly. If your event is a benefit, we are usually open to donating some merchandise to the cause: CDs, T shirts, stickers, etc. Marina Christopher has been described as one of the hardest working women in show business. 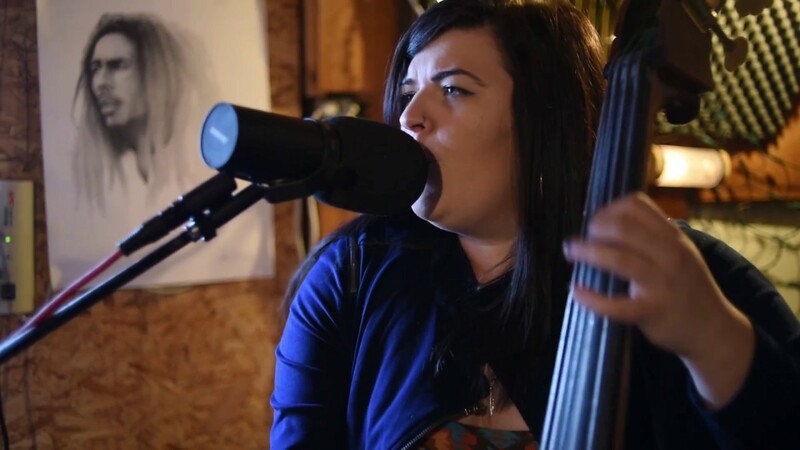 She is a triple threat: accomplished bassist, vocalist and songwriter. 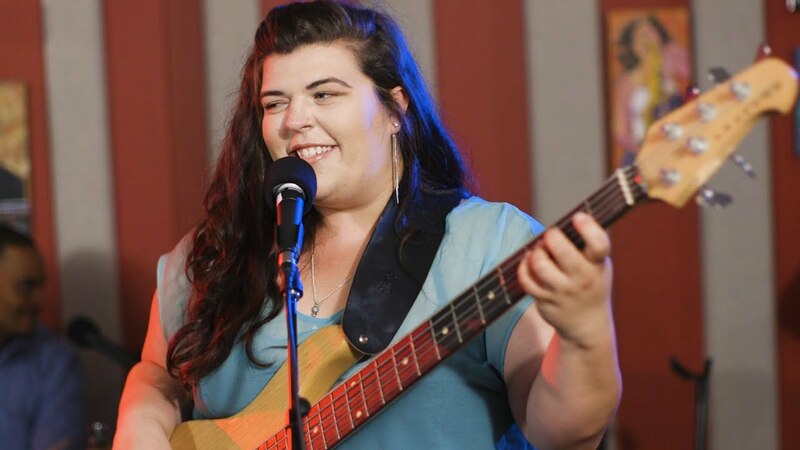 She grew up in the Northwest, playing in the competitive high school jazz band scene, and she has degree from Central Washington University in Bass Performance. After college, she worked for about a year playing bass on cruise ships, impressing people all over the world. Once Marina decided to be a vocalist and a band leader, her career really started taking off. In the past 3 years, Marina has been featured several times on local TV and radio playing her own music. In February 2017, she was a finalist in the Seattle-Kobe Jazz Vocalist Contest, and place 2nd the following year. Earshot Jazz Magazine named her Emerging Artist of the Year in 2017. Marina has caught the attention of local venues, earning an Artist-in-Residency at The Paragon (every 2nd Saturday), and Vito's (every first Thursday). Be sure not to miss the performer NPR called “a hip cat”. For most events we just require a power source within 20 feet of the performance area. We also require a contingency plan in case of rain at an outdoors event (canopy, tent, alternate performance location, etc). We can customize our set list to your events. We also know plenty more jazz tunes than are on this list.